Angela Cavadas is a distinguished violinist who has been the recipient of many major awards, including, the First Prize of the CBC Young Artists Competition at the age of 19. Renowned violinists Steven Staryk and Ruggiero Ricci were among the mentors in her musical training. She has worked with Mario Bernardi, John Elliot Gardiner and Monica Hugget to name a few. Cellist Ben Goheen holds his Master’s Degree in Cello Performance from UBC, where he studied with Eric Wilson. While attending the university, he held the Principal Cello position for the UBC Symphony. He currently enjoys performing with many other symphonies across British Columbia including the Vancouver Symphony, Vancouver Island Symphony and Prince George Symphony. 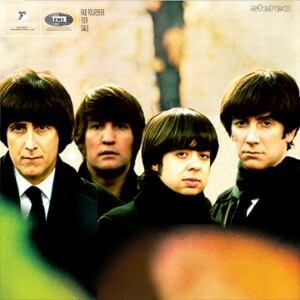 He also loves playing with small chamber ensembles. Violinist Alana Lopez is both a gifted performer and dedicated music teacher who has developed a palate for all genres of music. Alana currently performs with the Vancouver Symphony, Vancouver Island Symphony. Pianist David Antoniuk, is a graduate of Trinity Western University with a Bachelor’s degree in Piano Performance. March 2016, David thrilled the audience with his interpretation of Chopin’s Piano Concerto with the Chilliwack Metropolitan Orchestra which was his orchestral debut. We enjoyed working with David and are thrilled to be having this opportunity once again. 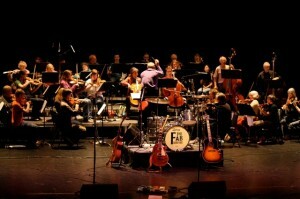 Six years ago the Fab Forever, a highly successful, local Beatles tribute band and the Chilliwack Metropolitan Orchestra collaborated on a concert that even the Beatles never performed, a full orchestra onstage to backup their music. This wonderful experience is going to be repeated on March 10th at the Chilliwack Cultural Centre. Tickets will be going on sale in time for Christmas giving. Don’t miss out on this outstanding experience, last time it sold out! Janice Fehlauer, born and raised in Chilliwack, was our first soloist ten years ago on stage at the GW Graham Theatre. Since that time, Janice moved to Houston, Texas and acquired her MA and Phd in Piano Performance. Janice attended UBC for her undergraduate degree working with world renown pianist Jane Coop. She earned her Masters Degree at the University of Northern Texas where she was awarded Most Outstanding Graduate Student by the faculty and her Phd. from the University of Houston. A winner of numerous awards including the gold medal at the Wideman International Piano Concerto Competition, and first place at the University of Northern Texas Concerto Competition. Janice is an active international solo performer and also works with the Dallas Opera. 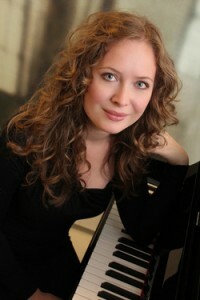 She is also an dedicated piano teacher, conducts piano Master Classes and is also an accomplished Violinist.